I loved the combination of travel theme and love theme for this product line. It was something that felt versatile enough that I could use it for any time, not just Valentine’s Day or when scrapping a vacation. Yes, the individual products will still be available from now until the new catalog launches (when they will be available in the catalog) but if you want to get the extra 15% discount and get them as a bundle, today is your last chance! I’ve been using these different elements together in the journal as well as separately for cards and scrapbook pages. So, its nice to get a deal on items that you can use a bunch of different ways. If you remember, this was my first year attending Leadership convention. I was so excited that I had promoted to Manager and so I had earned an entry into Manager’s Reception. Well, this year, Manager’s Reception was at Harry Potter’s Wizardly World in Orlando. Um, yes please!! See… isn’t it perfect? And oh so true because the adventure of earning Leadership and then going their with my Mom (who is also my upline) was a blast! Then, for a bit more whimsy on my page, I took squares of the designer paper and cut them in half to make triangles and then stacked them like arrows. I totally mis-cut some paper, so when I fixed it I had thin strips of paper which I glued as a center piece in the triangles. Then I used my Tombow liquid glue to draw dots where I wanted my twine to do loopty-loops along the side of my page and then pressed my Island Indigo baker’s twine into the loopy pattern on the right! The sad thing is that I love this paper and I completely hoarded it and suddenly realized that it is retiring in 2 days! Yikes! So if you want to get in on the Sent with Love suite, check it out online today and grab yours before it goes away April 30th. 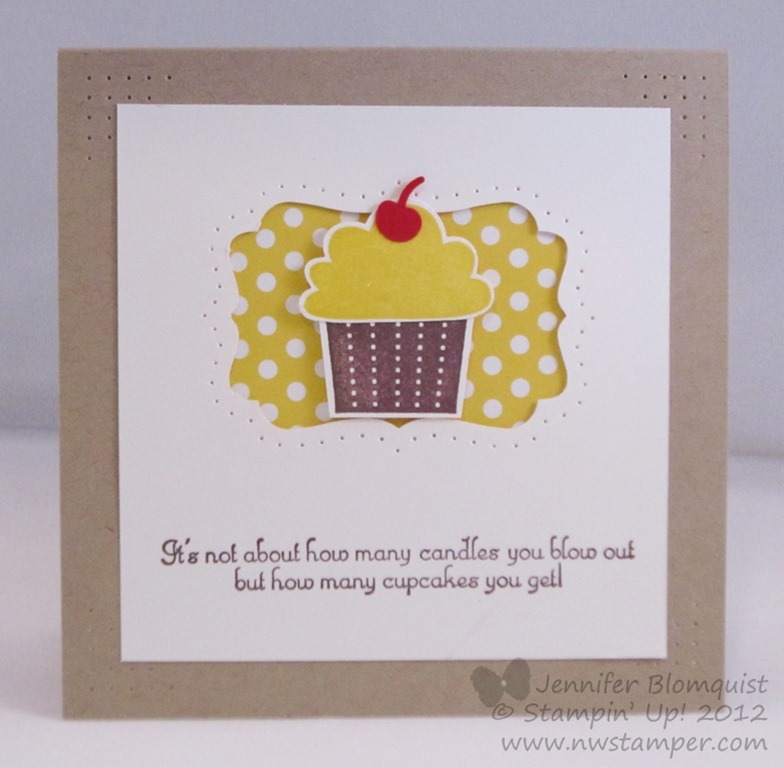 Use Hostess code EQ9PM3NX and be entered to win a free stamp set of your choice! And since I’m in a reminiscing mood… I thought I’d share some of the other memories I need to scrap: Harry Potter and Manager’s Reception, Amazing on-stage demonstrations, winning Prize Patrol, and meeting Shelli! 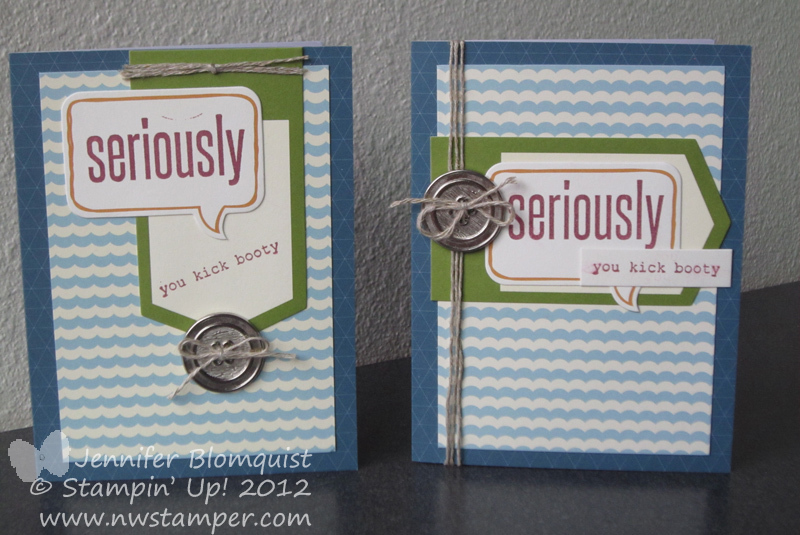 Love these Stampin’ Up! events. This is why I love swapping cards or seeing what other people create – because I would never have thought up this card but when I saw it in person I just thought it was the coolest looking card. 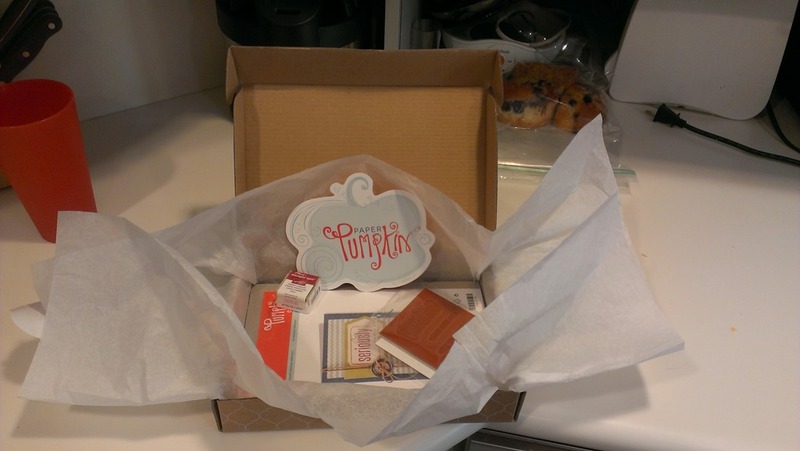 The best part is that it is so simple to create – and that is why Liz rocks! 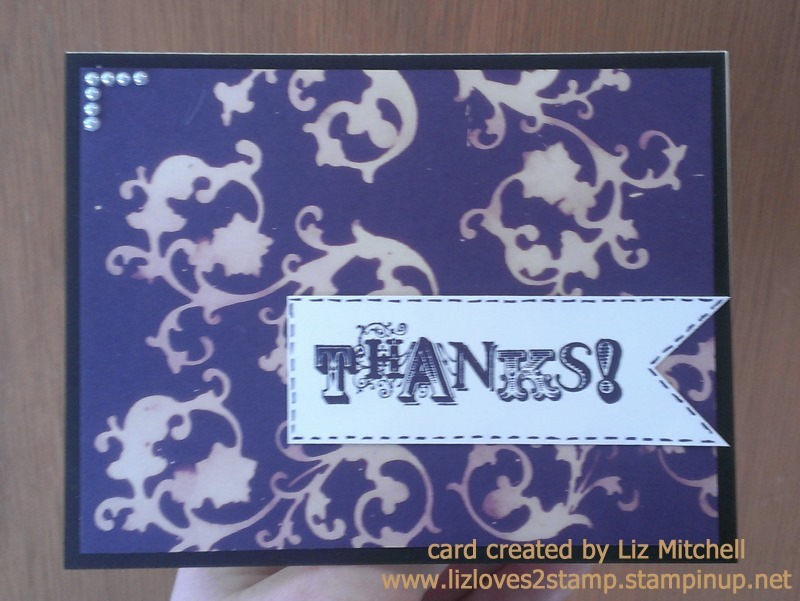 Liz Mitchell is a fabulous gal on my Stampin’ Up! 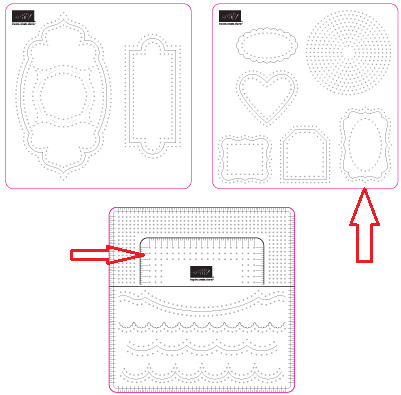 team who makes these cards that are easy to replicate but always look so thought out and cute. She tells me that she has a hard time coming up with card designs but I love how she finds an idea then changes it up to match her style and it turns out awesome, don’t you think? For this card, she took the flourish image from the Elements of Style stamp set and instead of inking it up with a standard ink, she used liquid bleach! Stamp immediately onto your paper. This works best if you are stamping on dark paper. Repeat as much as you want! I love her touches of pearls in the corner and faux stitching around her banner. 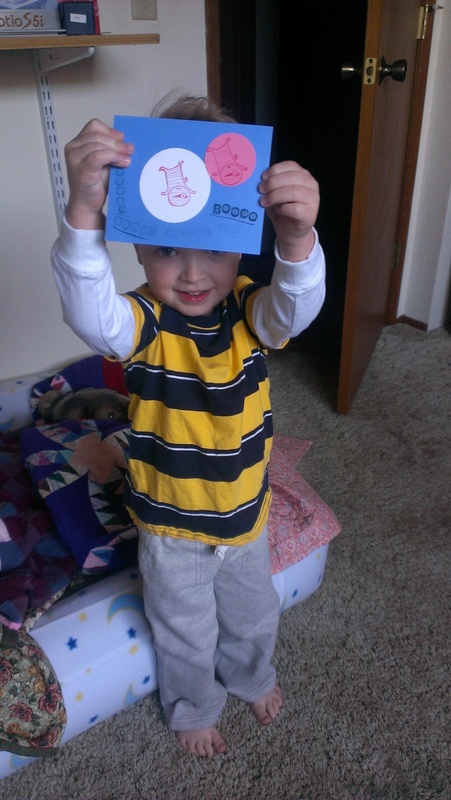 Thanks, Liz, for sharing your cute creation today! 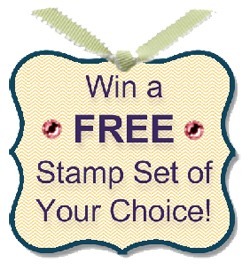 Reminder, Win a Free Stamp Set of Your Choice! Don’t forget about my special giveaway to kick off the countdown to the retirement of a ton of great products and the unveiling of a fabulous new catalog in June! That is right! From now until 4/28, place an online order using Hostess Code EQ9PM3NX and for every $25 in product you order, you will get your name in a hat to win a free stamp set of your choice! I’ll be tracking entries based using the hostess code, so make sure you enter EQ9PM3NX from your shopping cart in the online store or email me at jennifer@nwstamper.com with your order to be entered! So, grab those last chance items and you may be getting a bonus stamp set to go along with it! Shop now & Be Entered to Win! 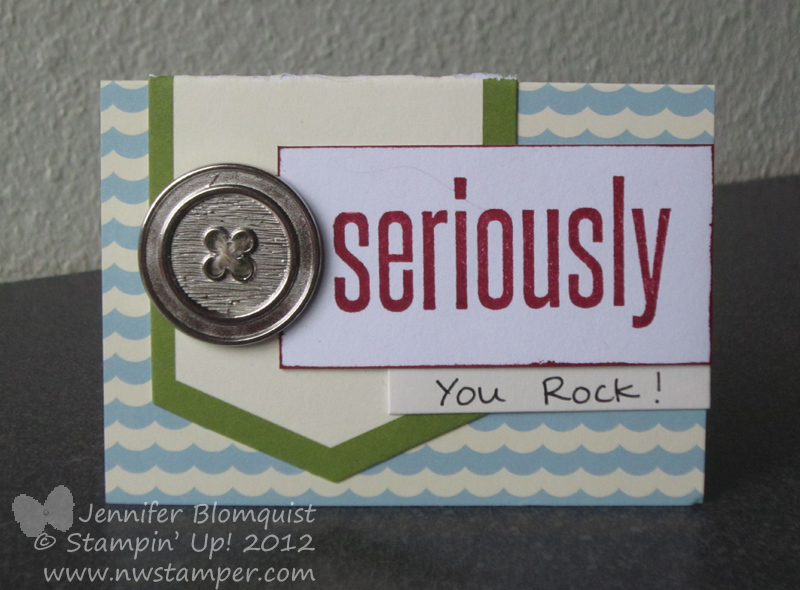 When you are making a birthday card for someone, isn’t one of the top things on your mind all about making them smile? Well, unless the birthday boy or girl hates cupcakes (is that even possible?!) I’m going to bet this one will bring a smile to their face! At least it does for me every time I pull out this card. 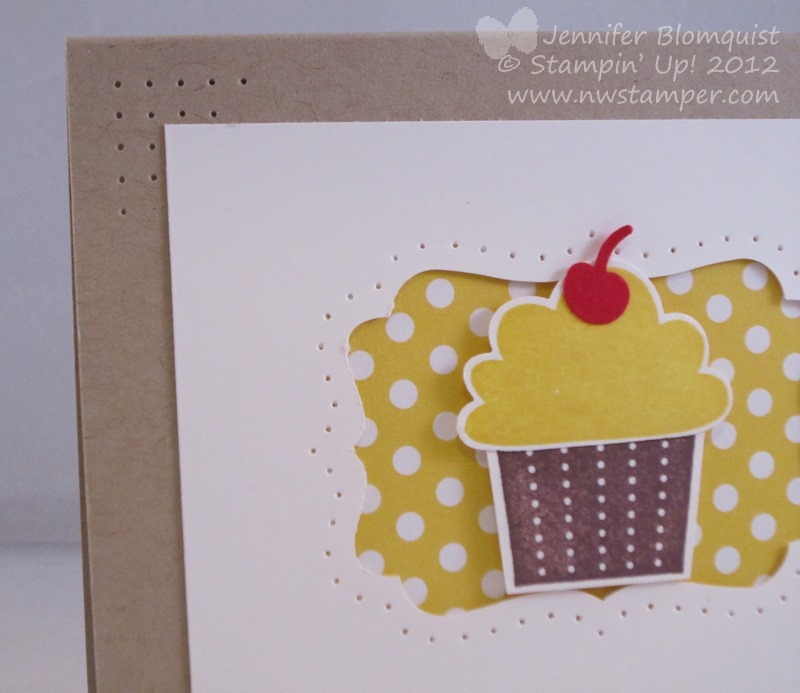 I designed this card for my technique class recently where we focused on paper piercing so I used the Essentials Paper Piercing Pack for the Decorative Label Punch shape around the outside of the punchout. 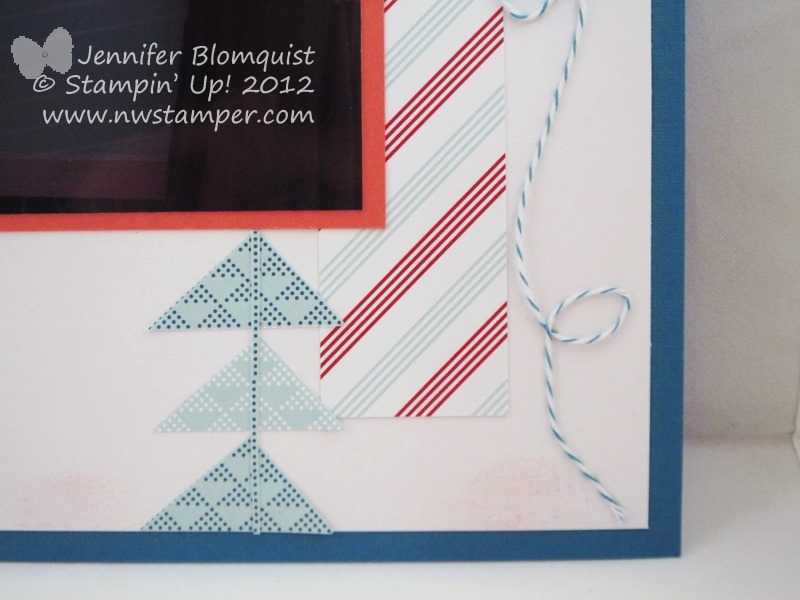 Then I used the rows of holes on the template to make even photo corners around each corner of the Whisper White cardstock. Plus, with the coordinating Cupcake punch, it makes it easy to get your cupcake together too. And speaking of birthdays, today is my Dad’s birthday! I’m happy to be celebrating with him and my mom today and before we left to go visit, Nicholas decided to create a card just for Grandpa. 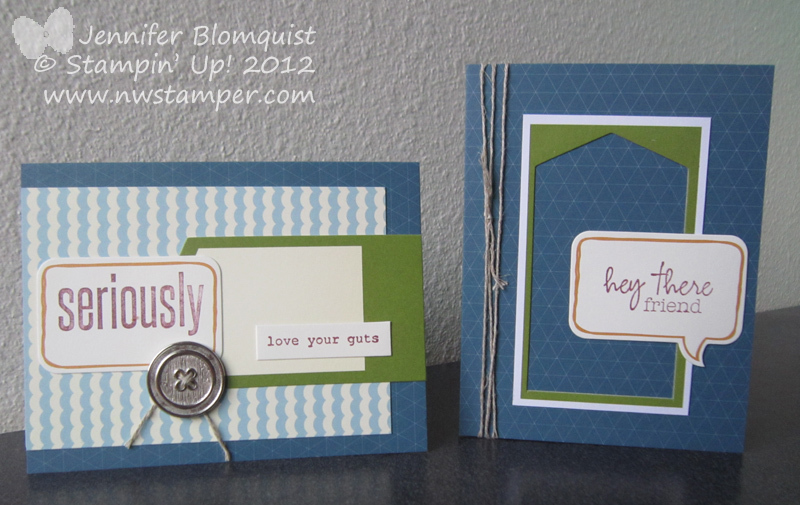 He picked out the stamp set, the colors, the punches, and where to glue everything down. He may be 3, but he loves making cards for people too! 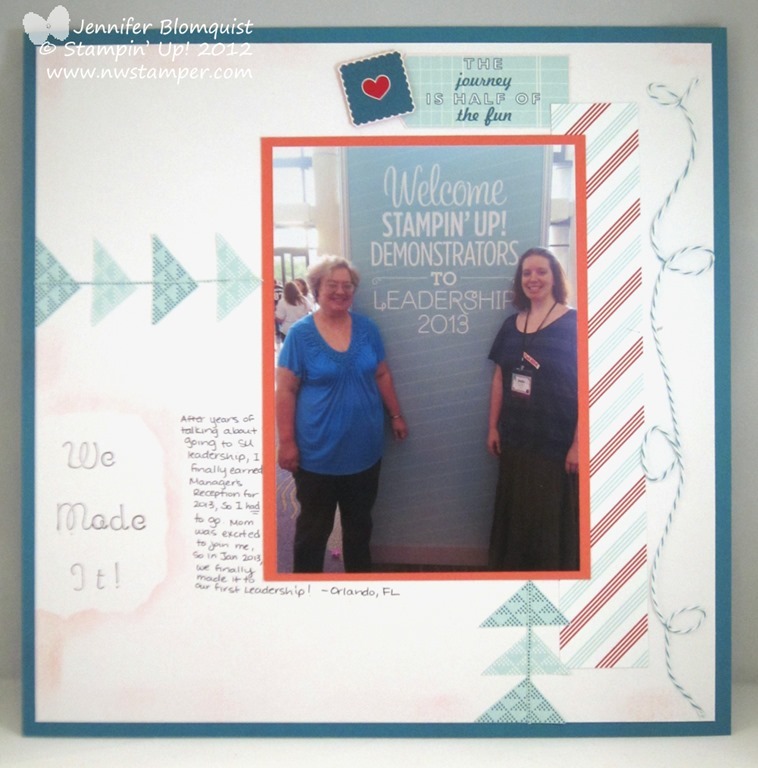 The 2013 Stampin’ Up! Retirement List and Giveaway Starts Today! So grab a drink and find a cozy spot to check out the list and see if anything from your wishlist is saying it’s final good-byes! RETIRING ACCESSORIES PDF – Up to 60% off! NOTE: Stamps will be available until June 3rd but anything on the accessories list is while supplies last! So grab them before they sell out! Retirement List Prediction Contest Winner & NEW GIVEAWAY! I wanted to thank everyone who sent in your predictions. There were some great guesses and amazingly I had 2 people who had 9 stamp sets guessed correctly and both of them missed by guessing It’s A Wrap Occasions! Sarah Lassey for being the first in with 9 correct guesses! 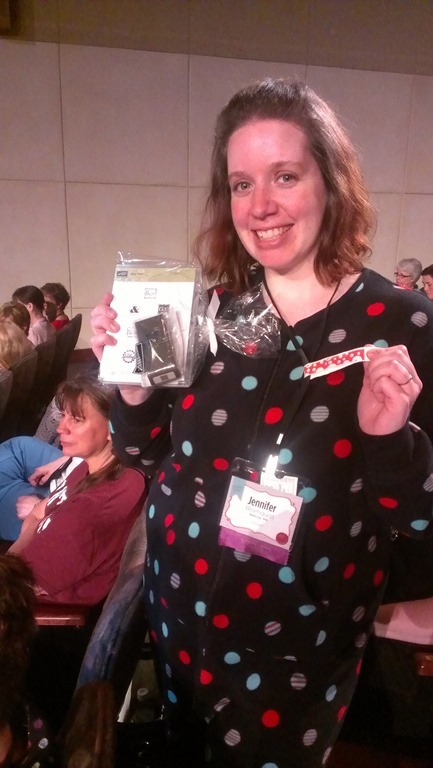 She wins $15 in retiring products! But even if you didn’t win that contest, I have a special giveaway to kick off the countdown to the retirement of a ton of great products and the unveiling of a fabulous new catalog in June! So, what are your favorites that made the list?